Sleep is important but the painful reality is that for some people it’s very hard to get a good night’s sleep. In the past, you can deal with sleepless nights well. You remember how you were able to go to class after sleeping only two to three hours the previous night. But now that you are in your mid-30s, you realize your body isn’t what it used to be and you’ve been struggling with daytime sleepiness because of your inability to get enough sleep. 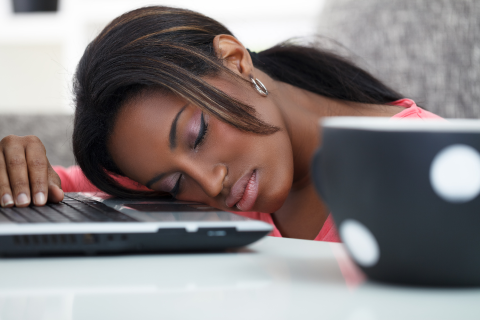 Do you know that using a smartphone, tablet, or e-reader can get in the way of your body’s production of melatonin? If this is the first time you’ve heard of melatonin, then you must know that this is the hormone that is regulates the body’s sleep-wake cycle. Numerous studies have shown that using electronic devices like smartphones and e-readers can prevent the production of melatonin, which makes it difficult for you to get sleepy. Experts suggest that you should avoid any light-emitting device like television or computer at least an hour before bedtime. But what if you use Kindle Fire or iPad for reading your favorite novels? You can still use these devices, provided that you turn down the screen brightness and keep it at least 14 inches from your face. Certain medications can prevent you from sleeping fast or soundly. If you are required to take supplements on a daily basis and you’re having sleeping disorders, ask your doctor about the time of the day that you can take your dosage without interfering your sleep cycle. For instance, anti-depressants can have a strong effect on sleep. Pain medications, meanwhile, can upset your stomach and make it more difficult for you to doze off. So you’re having a hard time dozing off that you think texting your officemate or girlfriend can help you feel sleepy. After all, it may appear that sending a text is less disturbing than a phone call late at night. But sleeping with your phone near you can backfire, as you may be disturbed by the replies after you have already fallen asleep. It is unlikely that you will fall asleep if you insist on dropping by Starbucks and ordering a cup of coffee or tea. Even if you drink coffee or tea a few hours before hitting the sack, caffeine will remain in your system enough for it to disrupt your sleeping pattern. Stress is one of the major causes of insomnia. Hence, you don’t want to get into a fight with your significant other before going to bed. A fight is stressful and can elevate cortisol and other stress hormones in your body, affecting your ability to fall asleep fast. Angry people also have the tendency to play over thoughts again and again, which can make them up all night. You must also avoid getting into a serious discussion an hour or so before sleeping. Save those important discussions in the morning or middle of the day, when you have more time to reflect and relax. Simply put, your mind should be clear of any stressors if you are to sleep early and sound. These are just five things that you should never do if you want to sleep well at night. Why don’t you try them later at night and see the difference in the quality and length of your sleep?